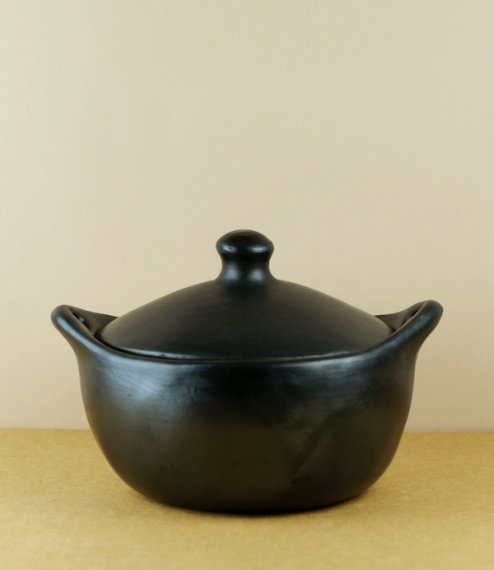 Hand formed black clay cookware from small village producers in Columbia. Using a method barely changed in 700 years the pots are first formed of a rough grey clay and allowed to dry before being covered in a bright terracotta slip. 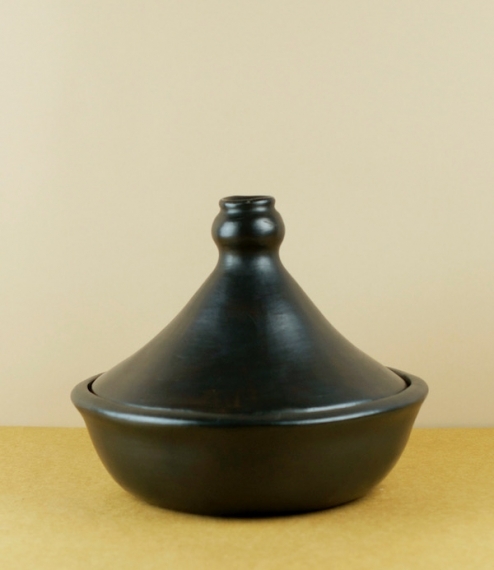 Once dry this is polished before firing, during which the addition of dried herbs and grasses reduces the red slip to black. Being fairly resistant to thermal shock these can be used sensibly over a flame or on a hob, as long as sudden sharp changes in temperature are avoided. 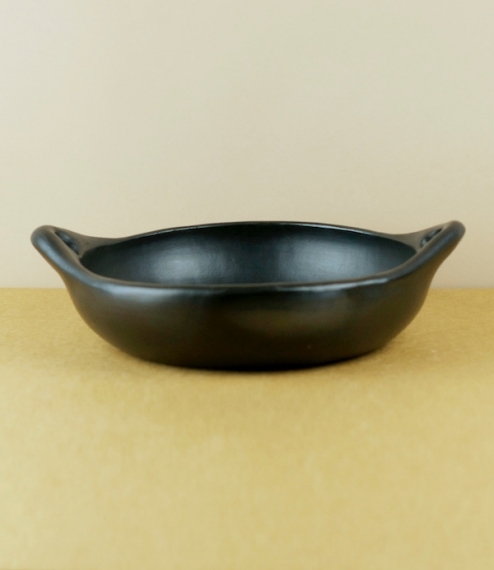 Diameter about 24cm, holds about 1.2l.